As Fair Trade Month is around the corner (October, actually), what better way to engage customers than by inviting them to your ethnic table and enjoy some global cuisine? According to Mintel, a global market research firm, sales in the ethnic food sector have been climbing steadily since 2004, reaching $2.2 billion in 2009 and growing to $8.7 billion in 2012. As people travel to more distant lands, are willing to experiment with different dishes (and spices) at home, and more restaurants are either opening or featuring different types of cuisines, Americans are hungry to try something new. Even if it’s a colossal failure, adventurous souls at least have something to talk about! What this means for independent retailers is that globally inspired cookware and tableware are becoming a very important category and to dismiss it means not only leaving sales on the table but disappointing customers who are excited to learn more about international cuisine and bring it closer to home. Let’s face it. We’re a food-obsessed nation. We not only hunger for what’s new and exciting when it comes to the four corners of the world, we want to memorialize our experiences via social media. There is a reason food is among the top posts on Instagram and Pinterest. We love food. We love travel. Combine the two and it’s magical. Group things like ceramic bowls from Mexico with a cookbook featuring recipes recipe from Central America. Combine beautiful tableware from Guatemala with a package of soup ingredients. Add salad tongs from Kenya with a salad bowl from Thailand and have a recipe card from a nearby restaurant (or one of the cookbooks you sell) on the side for customers to take (with your store’s logo and info on it, of course). “ SERRV International offers the cookbook Leaders From the Kitchen with traditional Central American recipes, which would pair well with Encantada ceramic dishware from Mexico. A ceramic mug from Lucia’s Imports would pair perfectly with Women’s Bean Project soup mixes. 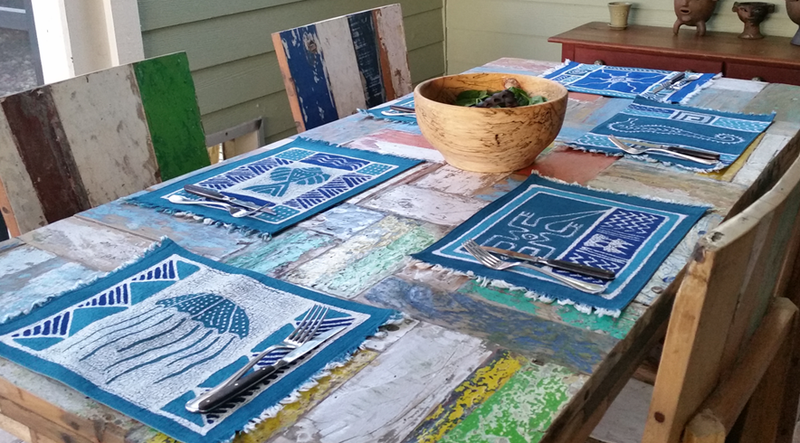 Enhance the display with textiles — lovely Indian tablecloths from Sustainable Threads or fun Zimbabwean placemats from Tonga Textiles. Television news shows (usually mid-day) love food-focused segments. If you’ve ever want to have your own cooking show and have a knack for it, this is your time to channel your inner Julia Child. Practice with a particular recipe (choose an easy one with a handful of ingredients) and let the television producers know you’d like to come on the air to showcase how to make it. Remind viewers that ingredients and/or serving pieces can be found at your shop (brick and mortar or online). Can you partner with a local cooking school or invite a chef to come and do a demonstration in your shop? Or maybe someone from the nearby hospital is an expert on how to use spices in meals to make them healthier and would be happy to come and present? Invite your customers to provide you with their favorite family recipes from their homeland. To get the excitement started, offer your own favorite recipes in your social media feed or email newsletter. People love trying new recipes! If you offer specific things in your store that they can use to make the dish, whether it’s utensils or tableware décor, let them know. Have people try out recipes and rank their favorites. The person who submitted the recipe with the most responses wins. Reward the winner by letting her choose a food-focused prize from your shop (or make a particular item the prize and promote it). Don’t forget drinks and desserts! Your drinks don’t need to include alcohol but I love learning about cocktails using spirits from specific countries. Whiskey might be an all-American spirit but most countries have their own national spirit. Learn something about it and share tidbits and trivia on your social media. “El Jarrito is the oldest and most traditional mug in Mexico,” writes Kimberly Grimes of Made by Hand International Cooperative. “It dates back to pre-Aztec times. Pre-Hispanic peoples drank a bitter-spicy chocolate drink (cacao mixed with chile peppers) that they called the “nectar of the Gods.” [Cacao was used as money in the trade networks, very valuable.] 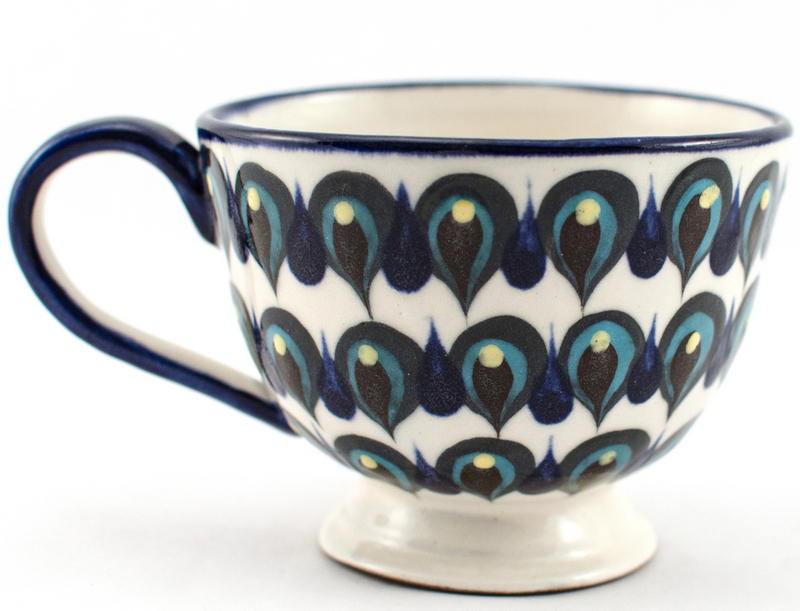 The mug’s shape was unique in the world until recently (late 20th century.) Mexicans are very proud of el jarrito. Today Mexican families still use it to drink hot chocolate — my in-laws’ generation still drink hot chocolate first thing in the morning (coffee and tea later in the morning but first thing is chocolate). 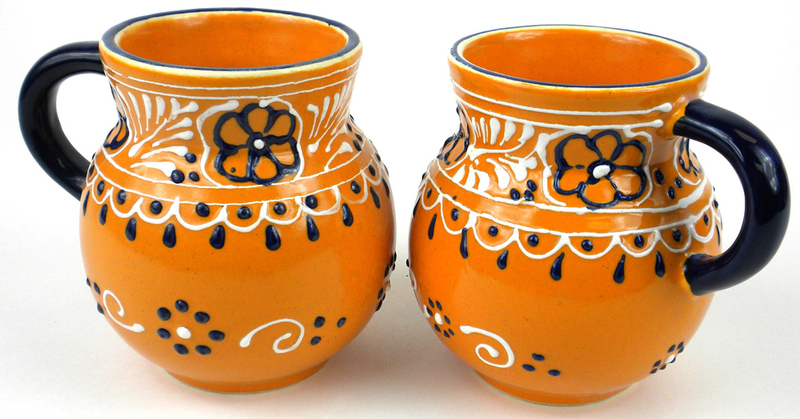 Of course they are from Oaxaca where cacao comes from.” Global Crafts offers the beaker-shaped cup from Mexico that makes a perfect “el Jarrito” according to Kimberly. And Equal Exchange offers a Spicy Hot Chocolate mix (yes, with cayenne pepper!) if you want to share Kimberly’s story in your store. Can you create an event that will attract a crowd? One with a photo opportunity, preferably? The more spectacular, the better. It’ll generate buzz! Merchandise trends tend to follow food trends. Brazil is hot now because of the Olympic games, for example. Cuba is on everyone’s mind since travel to the country is being permitted to specific groups. It’s no surprise, then, that we’re seeing more restaurants opening that feature Brazilian and Cuban cuisine. Thanks to a ton of articles featuring travel to Norway (and, thus, travelers visiting Norway), you’ll find more people gravitating toward that type of cuisine to not only reminisce their travel experience now that they’ve had a “taste” of the country (pun intended). Keep an eye on travel and food trends and create displays and programs around those since they’re going to be top of mind for many customers who are interested and follow global trends. Keep price point in mind when you’re buying. Some customers will want the best quality while others want to experiment and not interesting in buying an expensive piece of pottery. Also, don’t overlook packaged specialty foods. Look for healthier foods with wholesome or organic ingredients. Don’t forget to promote things like olive oil, honey and spices to help kick up a dish. If you sell chocolate bars, recommend other uses than just eating the bar. Can they be used to make a chocolate cake (and would you need more than one bar…)? I usually don’t need a lot of reasons to buy a chocolate bar but it’s nice to be “sold” a reason! Fair Trade Month is the perfect time to promote both fair trade and your global food-focused offerings. Bringing people together over food is a wonderful way to not only introduce new customers to what fair trade is, but it reminds us of the bountiful offerings of our neighbors all over the world. Megy Karydes is a Chicago-based freelance writer and marketing consultant. Learn more about her and her work at www.MegyKarydes.com. This entry was posted in Business Tips for Retailers, Meet Fair Trade Wholesalers and Products, Think Thursday. Bookmark the permalink.